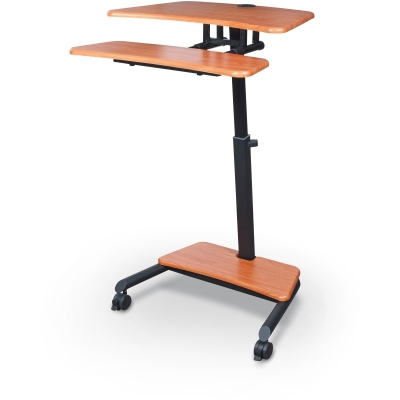 Up-Right Height Adjustable Sit/Stand Workstation is a simple to use, ergonomic solution to add energy to your working environment. 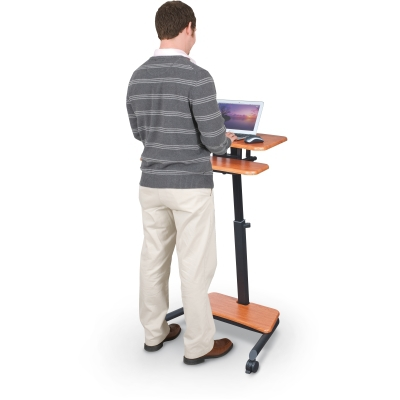 Mobile and easily adjustable from sitting to standing, even for tall people, the Up- Rite desk helps you Get Up, Stand Up™! Height adjustability from 28.5" to 45.5" allows the desk to be used as either a sit-down or stand-up workstation, encouraging efficiency by letting you refresh your position.